S’mores is a simple set-collection game published by Education Outdoors. Each player starts with a hand of five cards. On your turn, you have two choices of action. Either draw from the deck and then discard a card, or ask another player to “fan ’em”: pick a card from their hand and replacing it with one from your own. There are a few special cards that mix this formula up. The Cabinet, for example, allows you to rifle through the discard pile or deck and choose a card for your use. 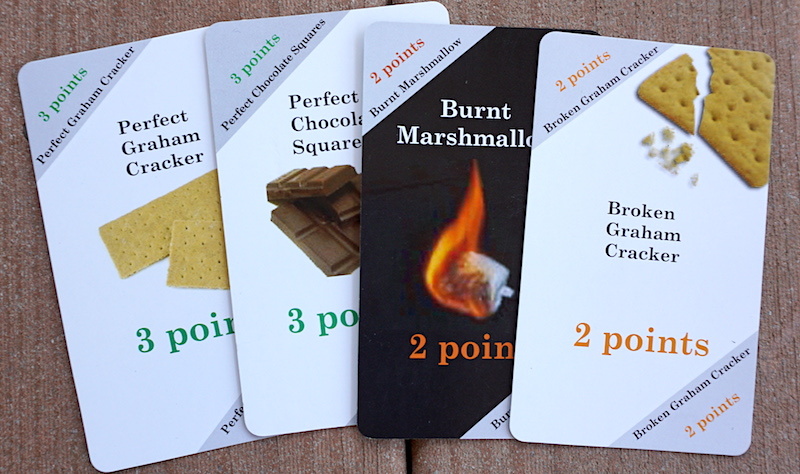 Each player attempts to create a s’more in their hand: 2 graham cracker cards, 1 marshmallow card, 1 chocolate card, and optionally a bonus card. Once created, the player lays down the s’more and draws a new hand. The game is over when the deck runs out. 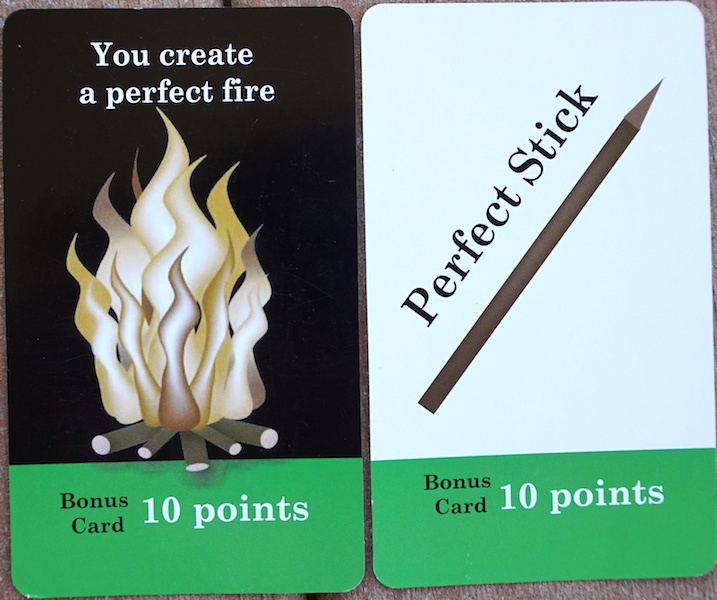 Players add up their points for completed s’mores and subtract any negative cards that are left in their hand. S’mores is an OK game. The cards are oversized and slick enough to shed some dirt; perfect for outside play. The theme lends itself well to camping or hiking trips. Your family can play S’mores very competitively (stealing cards from other players), or you may tone it down and simply draw and discard from the main deck. The concept is simple, and any child who has some reading skills can play. Our biggest concern with S’mores is the card distribution. Nine graham cracker cards in the deck means that there is a necessary maximum of four complete s’mores. This is especially frustrating with four or more players. Halving the number of filler cards and replacing them with more s’more components would be an easy way to improve the game. S’mores is a relatively small game. Even with oversize cards, the box is about four times the size of a deck of cards – twice the height and twice the width. It’s also inexpensive, so if it gets damaged during a hike or a rainstorm, you aren’t out a lot. At a suggested retail price of $6, S’mores might be worth picking up for your next vacation, but it likely won’t be a game you regularly play at home. 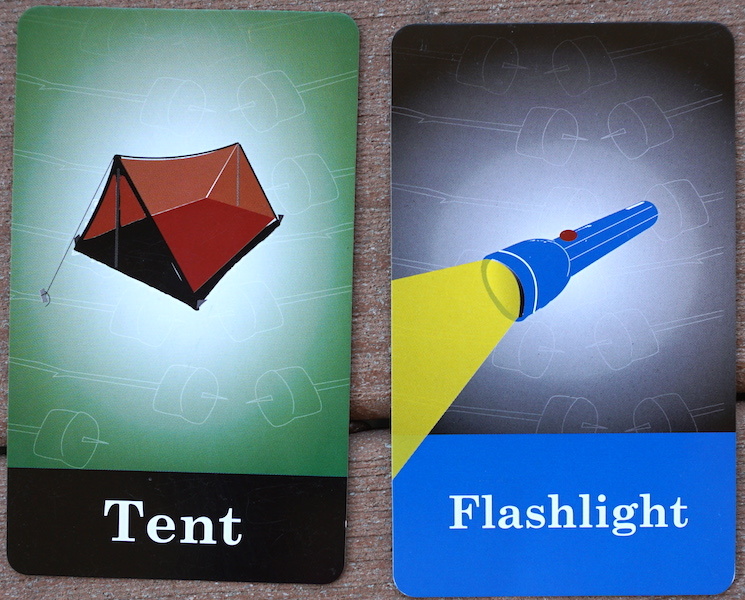 The Family Gamers received a review copy of S’mores: The Card Game from Education Outdoors.